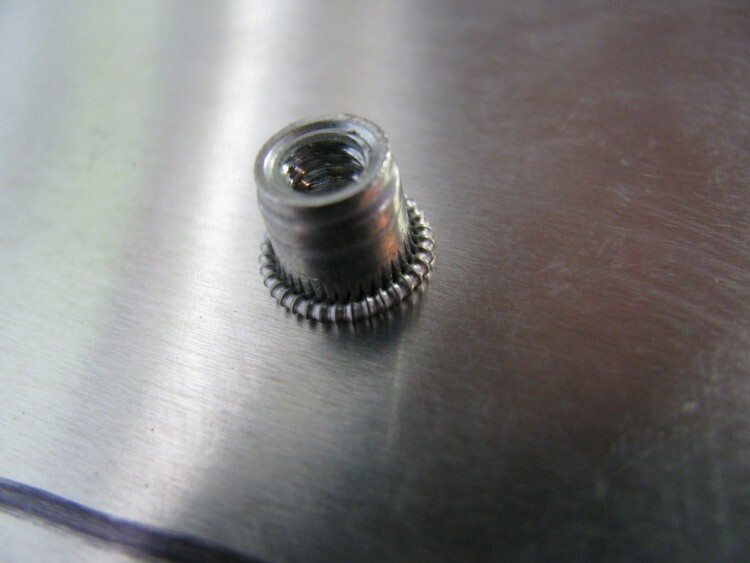 Many options are available on custom ordered chassis like welded corners, Tube socket holes punched, Cage or Rivet nuts, IEC and power connector cutout. Most options can be added to any size chassis. All chassis are cut with a precision CNC machine. 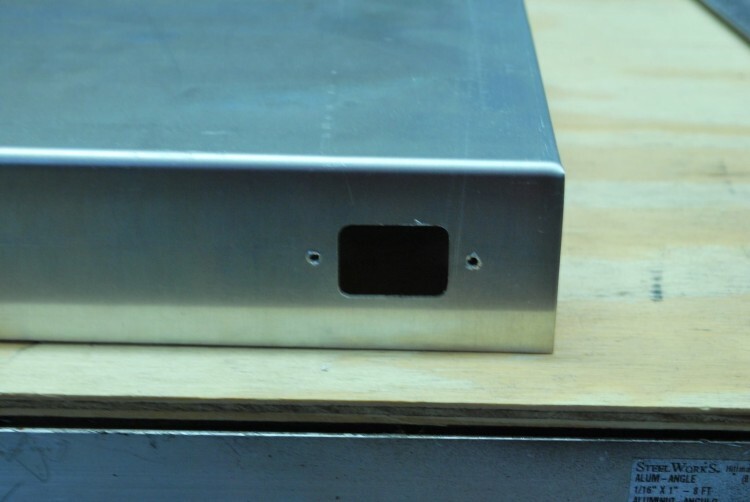 If you are purchasing custom face plates with your chassis, I can align the panels holes with the chassis holes. Most vector based files are compatible with my software. If you do not have the ability to create a vector based file with the hole and cutout locations, I can create one from a simple schematic for $15. Contact me if you need more information on how I create files for the CNC. IEC power connectors can be cut to any size. Please provide a dimension for you specific cutout needs. Note: Not all IEC power sockets are the same size. For reference the cutout size of the IEC socket found from Parts Express is 20X28mm. Please measure you IEC socket or reference the data sheet for proper size cutout. 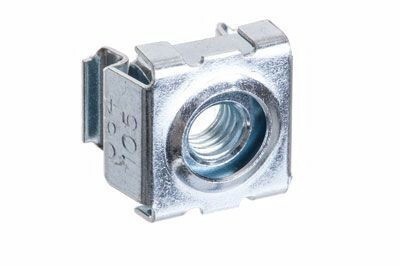 Rivet or cage nuts are also available. 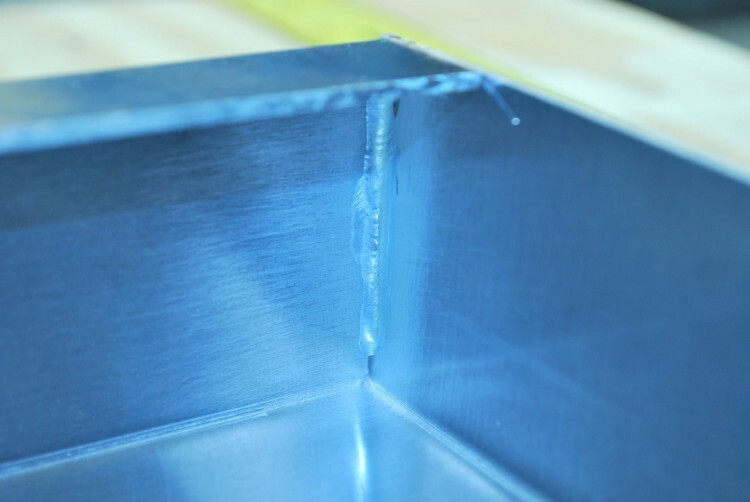 All chassis are TIG welded for maximum strength and rigidity. Cage nuts are M6 trhead. and Rivet nuts are available in 1/4x20 and 10x24 thread.